How do we prepare incoming students with very different areas of expertise for their year at Conway? Conway School students vary in background and educational and work experience. Before Conway, students might have worked in horticultural sales, community organizing, engineering, journalism, environmental education, the arts, or agriculture, among other fields. Others arrive with experience in landscape design and planning, seeking to explore new scales of design and learn more about ecology. 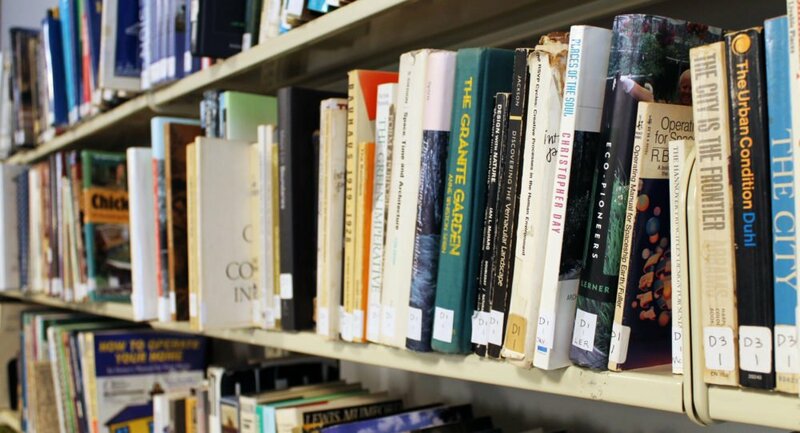 To help acquaint students with terminology and the social, economic, and environmental perspectives of ecological design, we distribute a summer reading list. The list traverses these disciplines and includes many different voices. Some texts explore scientific concepts, research about natural plant communities, and design methodologies, such as Travis Beck’s Principles of Ecological Landscape Design. Randy Hester’s Design for Ecological Democracy and Carolyn Finney’s Black Faces, White Spaces: Reimagining the Relationship of African Americans to the Great Outdoors examine the socioeconomic implications and considerations of ecological design and environmental advocacy. Charles Mann’s 1491 and 1493 tell an alternative history of land use in the Americas, dispelling common perspectives. Tom Wessels’ Reading the Forested Landscape and Anne Spirn’s The Language of Landscape present approaches for noticing patterns in the natural and built environments. The list also includes books about sketching and using drawing as a tool for seeing and thinking. We’d love to hear about what you’re reading. Send us an email at admissions@csld.edu. You might also check out our list of books published by Conway alums. Download our reading list by filling out the form below. Many of these books can be found at local bookstores and online booksellers like Better World Books. If you do use Amazon, Amazon will donate 0.5% of the price of your eligible AmazonSmile purchases to Conway: use this link to support us.